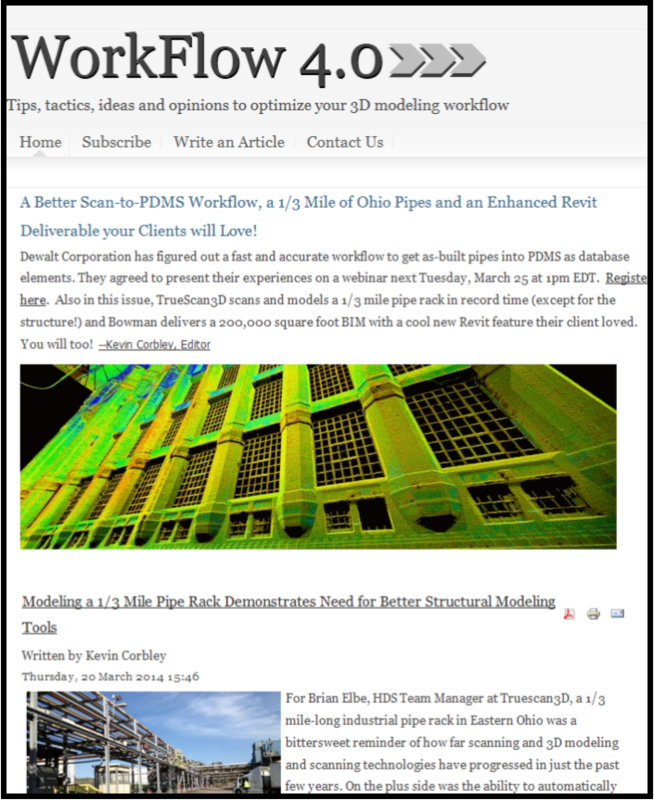 Our Truescan3D team was recently featured in Workflow 4.0 Blog in a story highlighting a scanning project involving 1 1/3 mile long industrial pipe rack in Eastern Ohio. Below is the article written by Kevin Corbley for Workflow 4.0. For Brian Elbe, HDS Team Manager at Truescan3D, a 1/3 mile-long industrial pipe rack in Eastern Ohio was a bittersweet reminder of how far scanning and 3D modeling and scanning technologies have progressed in just the past few years. On the plus side was the ability to automatically extract the pipes and conduits from the point cloud. On the downside, the team still had to extract and model the rack’s steel structure manually. Truescan3D is a 3D laser scanning and modeling services firm located in West Chester, Ohio, with several major BIM projects under its belt. 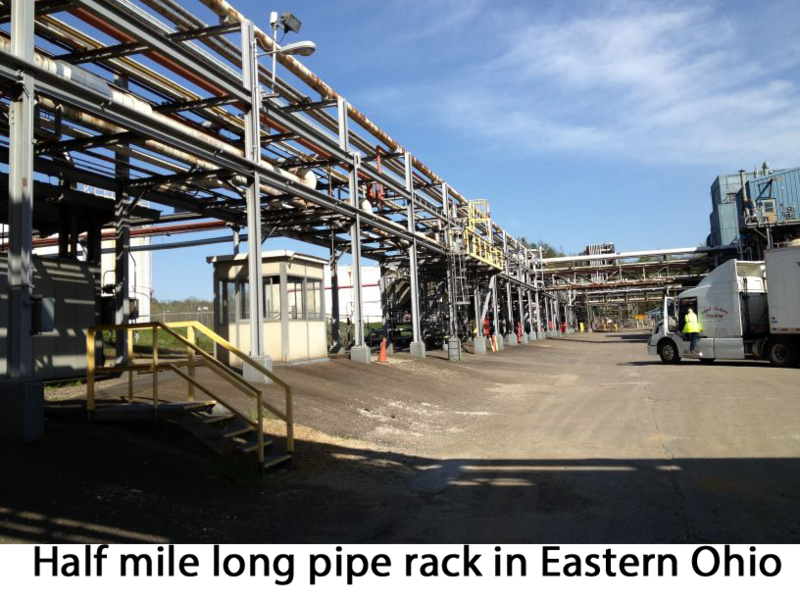 A challenging project they faced last year involved a pipe rack that carried numerous steam, fluid and chemical pipes, as well as some conduit, between several industrial plants next to the Ohio River. Most of the pipes were 6+ inches in diameter, and the rack itself varied in height above the ground from 10 to 40 feet. 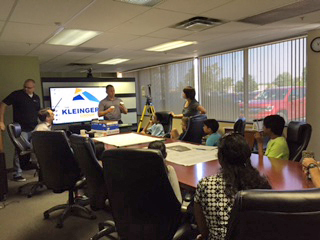 For the project, the firm deployed a Leica HDS7000 scanner, its workhorse unit due to speed and range of operation. The two-person crew captured scans along the rack. The team captured the first scan, moved about 50 feet along the structure, crossed under to the other side and collected the next scan. When they reached the end, they performed the same process heading in the other direction. Sixty scans were acquired. 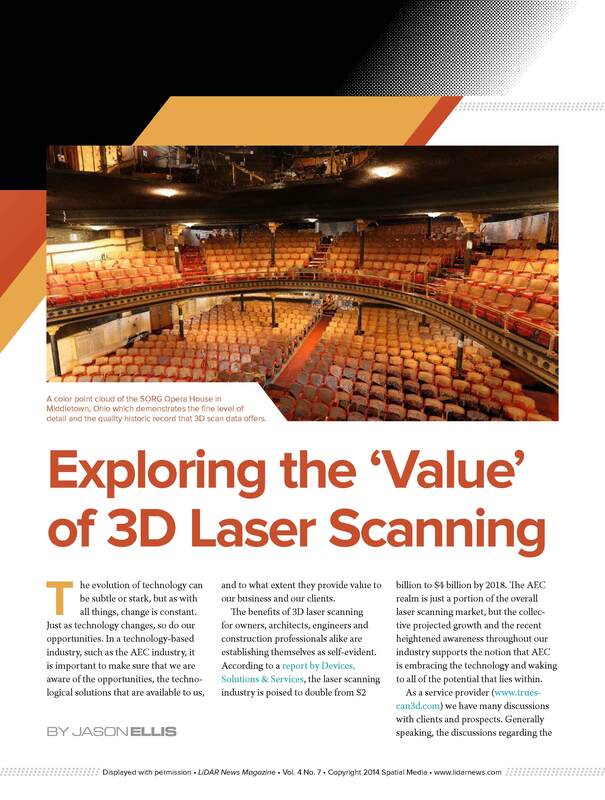 “We merged the scans in Leica Cyclone software and then registered the point cloud to the survey control,” said Elbe. 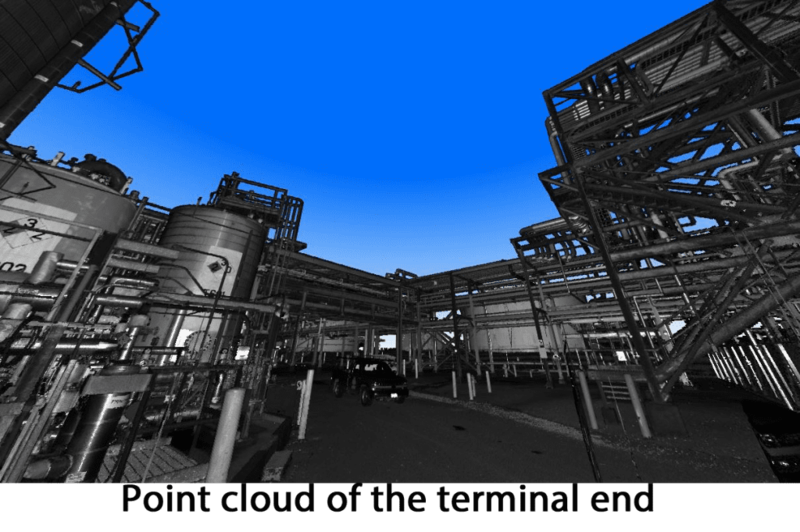 The technicians then used EdgeWise MEP to automatically extract all of the pipes of two inches in diameter or larger from the point cloud. Hundreds of pipe runs and conduits were extracted with the software. QA/QC tools enabled the technicians to quickly clean up the extracted MEP. The entire extraction and clean-up process took about a week in EdgeWise MEP, roughly half of what it would have taken in Revit. Modeling the steel structure of rack didn’t proceed as quickly. Truescan3D performed the extraction and modeling manually using Revit, which took longer, but was critical to the overall success of the modeling work. The engineering firm that is designing the placement of new pipe and conduit components on the frame, the locations of the structural beams and supports will be just as important as MEP elements in determining clash points. The steel beams had to be modeled as accurately as the MEP, Elbe explained, which made for a slow and tedious process in Revit. EdgeWise Structure, ClearEdge3D’s newest software release, is slated for availability in mid-April. The next issue of WorkFlow 4.0 will follow up with Truescan3D and report their beta test findings. Follow the link below to view the full article at Workflow 4.0.